The new line up for The Parcel Of Rogues Ceilidh Band features Catherine Handley (flute, whistles) and Phil Edwards (fiddle). 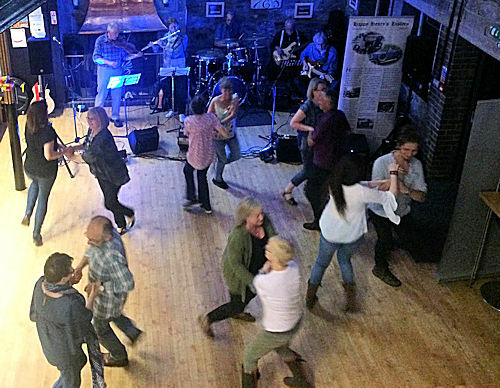 Check out the Ceilidh Band page. Another great night in the Canteen last night with the excellent Parcel of Rogues who never fail to provide top entertainment. The New Crown Inn, Merthyr Tydfil. Outstanding night in the Crown - cheers Guys! Everyone had a fabulous night in my mams 80th birthday party & thoroughly enjoyed the band, I will most certainly be recommending you. thank you so much! Fun and frolics last night at Cafe Cwtch in Aberdare with 'Parcel of Rogues' providing a grand Ceilidh. Thanks to everyone who came and helped the cause. Festival Of The Celts, Llandovery. Not your average pub band, these guys are a professional outfit! Thank you for the music at La Luna. You helped to make the night special.